Will a Creative Resume Help or Hinder your Job Search? There’s no denying that the job market is competitive. There are dozens – and sometimes hundreds – of people applying for the same position. Job seekers feel pressured to do what they can to make a positive impression and stand out. They want to be memorable and catch a hiring manager’s attention. One way that some job seekers do this is by constructing a highly creative resume. You’ve probably seen them around. People who turn their resume into a product example, poster, infographic, or more. They use colored paper, fancy graphics, diagrams, or other eye-catching mediums. But do these tactics work for all job seekers? Not necessarily. Be strategic. Before you spend your time crafting an intricate resume filled with all of the bells and whistles, consider the job and company you are applying with. Companies like Google and other innovative businesses tend to be more receptive to a creative approach. If you’re looking at a more regulated and traditional business, such as something in finance or law, a standard resume may fair better. Know your audience and what the company is looking for. You don’t want to risk rejection with a highly creative resume when a traditional resume could have landed you better results. Less is more. If you do want to get a little creative, keep it simple. You don’t want the elements of your resume to be a distraction from what really counts – the content. Fancy fonts are not always compatible with applicant tracking systems (ATS). These systems may also strip away other features like text boxes which could eliminate essential information. While you think your resume is looking top notch, hiring managers may not be as impressed. Content counts. Regardless of what your resume looks like, content is still key. Hiring managers want to see that you have the skills and experience necessary to do the job. You still need to demonstrate your achievements and show them why you are a good fit. In some cases creativity can give your resume an added boost, but for many jobs, a standard resume is plenty. Hiring managers only spend a few seconds getting their first impression of your resume. Make it count. 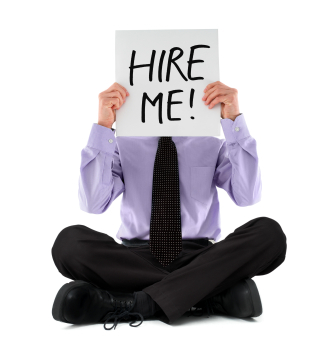 You want your resume to send the message that you are a professional. Sometimes bold fonts, images, graphics, and other features can take away from this impression. While they may be appropriate for some jobs, use discretion in deciding if it’s right for you. The last thing you want is an employer to think you are unprofessional or not serious about the job. So should you use a creative resume? The answer depends on where you are applying and the type of position. However, it is always a good idea to have a traditional resume ready to go for any openings you may find. This article was syndicated from Business 2 Community: Will a Creative Resume Help or Hinder your Job Search?